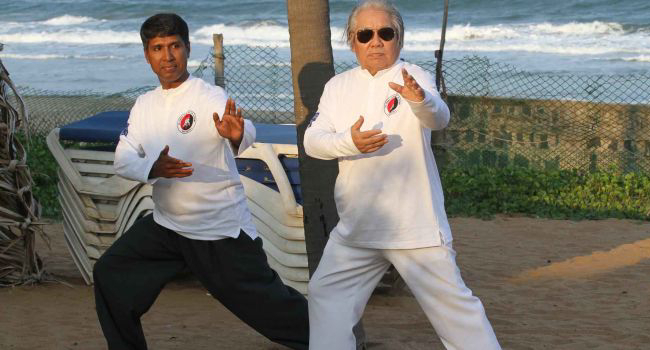 We are Tai Chi practitioners & followers for more than two decades and work towards spreading the goodness of this beautiful form of art to people across India. This profoundly unfathomable art form has impacted our lives in all dimensions, taking off the stress from our lives and helping us acknowledge the fact that spiritual growth is essential for our wellness. Tai Chi is an ancient martial art form used not just for self-defense but also for promoting spiritual and mental well being. 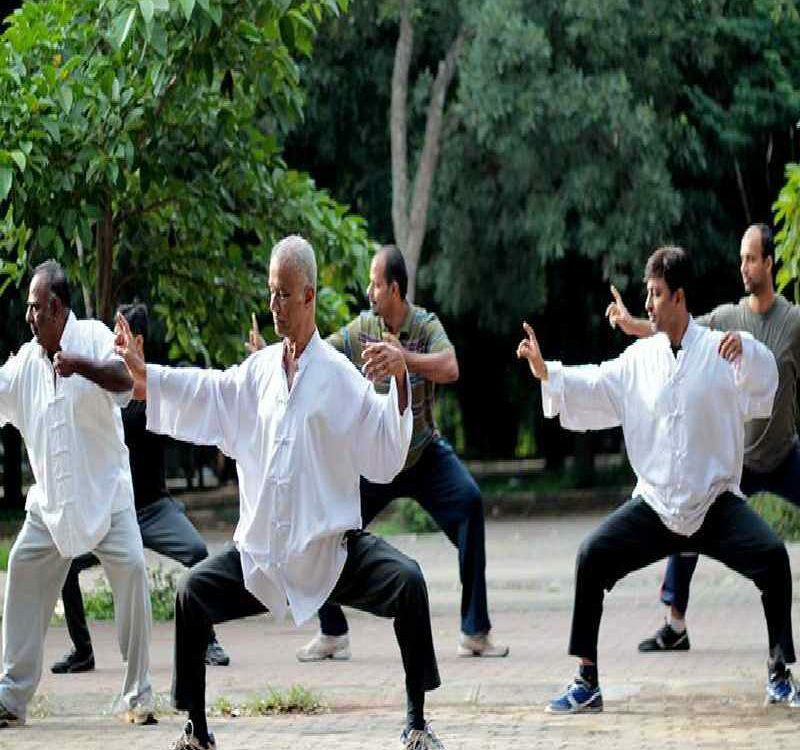 There are many forms of Tai Chi ranging from slow, gentle and relaxing methodologies. The art form helps in raising the energy levels and comes with health benefits like lowering blood pressure, improving balance and flexibility and also enhancing the overall health of an individual. Tai chi – To promote serenity and reduce stress through gentle movements. Can also be considered as a gentle meditation method and a rhythmic physical form of exercise. For all age groups. No restriction as only gentle movements are included. Safe for pregnant women and kids too. A personal favorite for elder people as there is ease in movements. 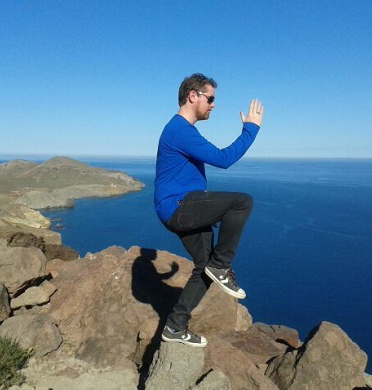 It is advisable to practice Tai Chi early in the morning or in the evening. Early morning practice fills your body with instant energy and keeps a positive flow throughout the day. 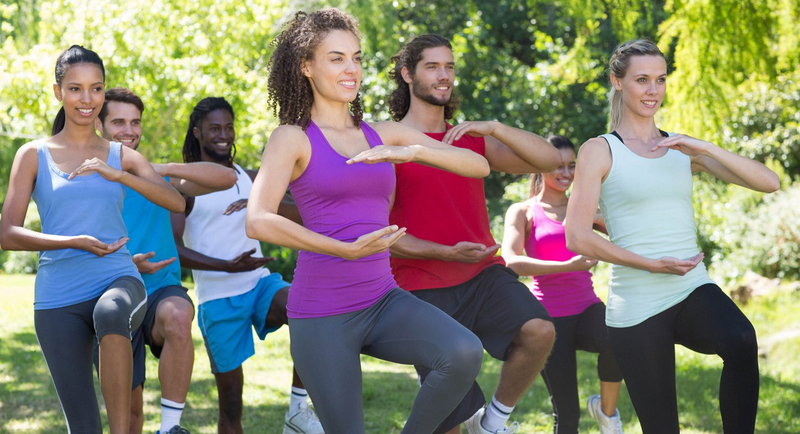 Tai Chi is a form of gentle physical exercise which is self-paced.There are many forms of Tai Chi and each form has separate health benefits. You can always begin with warm-up exercises. Proper breathing and centering of energy is required. Place your feet to align with your shoulder’s width and gently lift your hands as if lifting a balloon. Complete a full circle and bring your hands gently down. Remember to breathe slowly with each movement. Your aim should be a long continuous breath without any interruptions in between inhalation and exhalation. To start, place your tongue on the tip of the mouth. You should not force the tongue in any particular position. Just make note of where the tongue goes naturally. Always remember to inhale and exhale through your nose. This encourages the proper flow of air as well as energy. Inhale through one nostril and exhale through the other. Feel your belly move during breathing. The belly should move in and out so that the body parts experience a gentle massage. Then relax and take a deep breath. Tai chi was started earlier as a martial art form. Now in addition to this, Tai Chi is used as a form of enjoyment and has numerous health benefits. 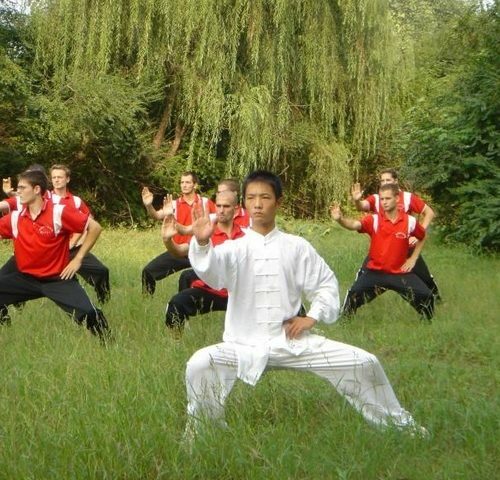 People who practice Tai Chi experience an increase in the quality of their life. 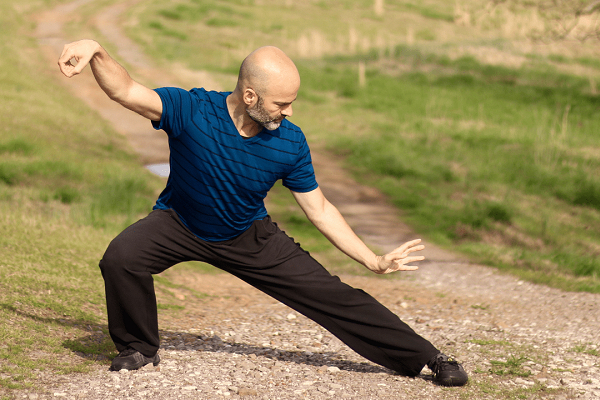 Tai chi is extremely useful in improving arthritis and similar chronic conditions. The steps involved helps to prevent accidental falls and motivates people to walk carefully. 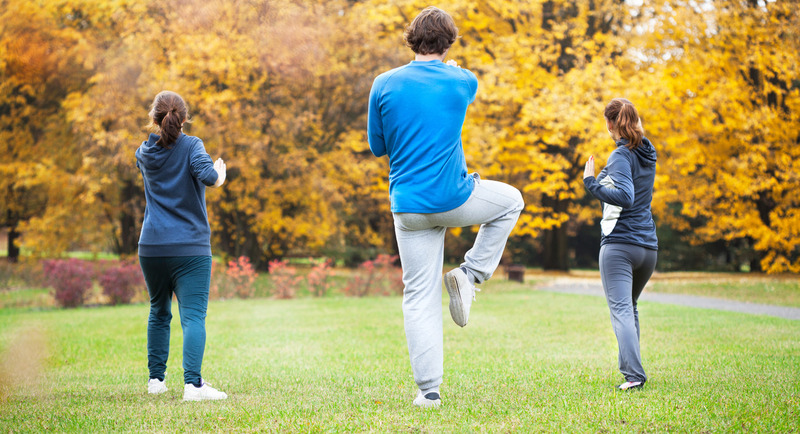 It puts minimal stress on the muscles, so people of any age can practice Tai Chi. This gentle exercise form can also reduce diabetics and the complications along with it. It is also most useful in all rehabilitation processes. How music classes can help to enhance your child’s reading skills? 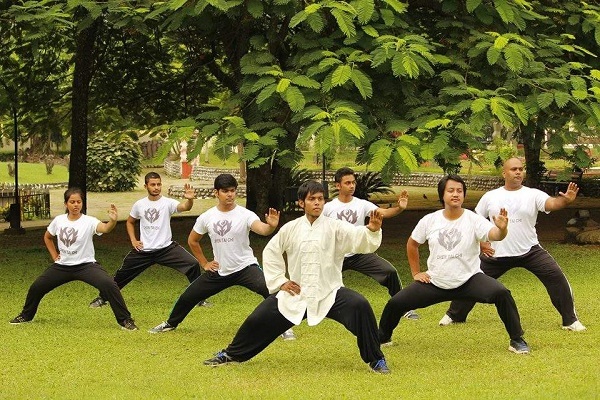 Westwindtaichi was started with just one aim in mind to promote the martial art form. The sole goal is to do something for the martial art community. 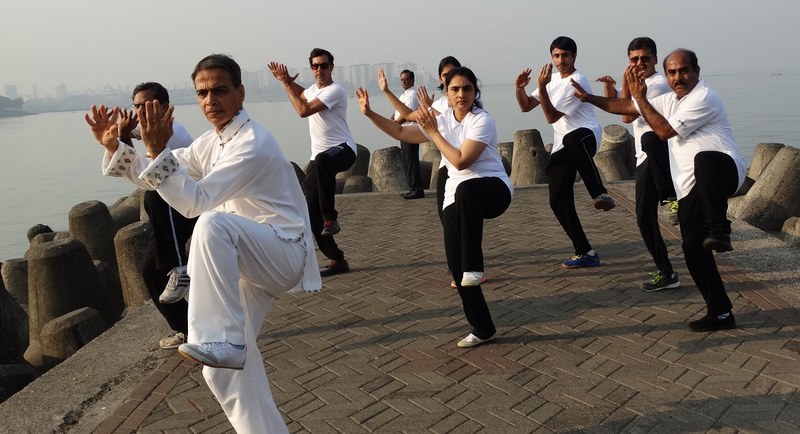 Some of the exciting things you can find on our website are information on Tai Chi, kids Tai Chi, best Tai Chi classes in India and a whole lot of blog activities to keep you busy.